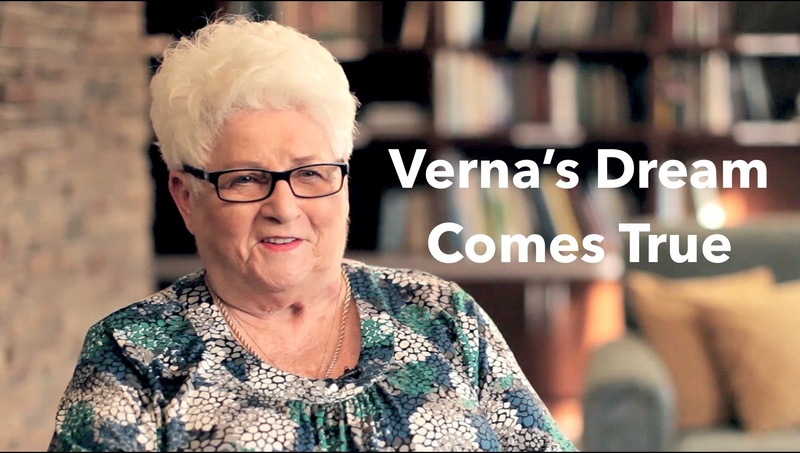 Look inside and watch the inspiring story of Verna’s life-long dream to study art. Verna Clancy dreamed of studying art at university, but never had the opportunity — until now. With the help of Queen’s School of Rehabilitation Therapy and Royale Place Retirement Residence, Verna got to find out what university life is like. Watch this video, and discover the true meaning of living life fully. The sun set against the water, no land in sight, turning the world inky black. Slowly, lamps flickered on in the convoy. It was the first time they’d been lit at night since WWII was declared. Bill and Betty met 5 years ago at the dining room table at Cedarvale Lodge Retirement and Care Community in Keswick, ON, where they live. Today, they're both over 100 years old and share a 2-bedroom suite.